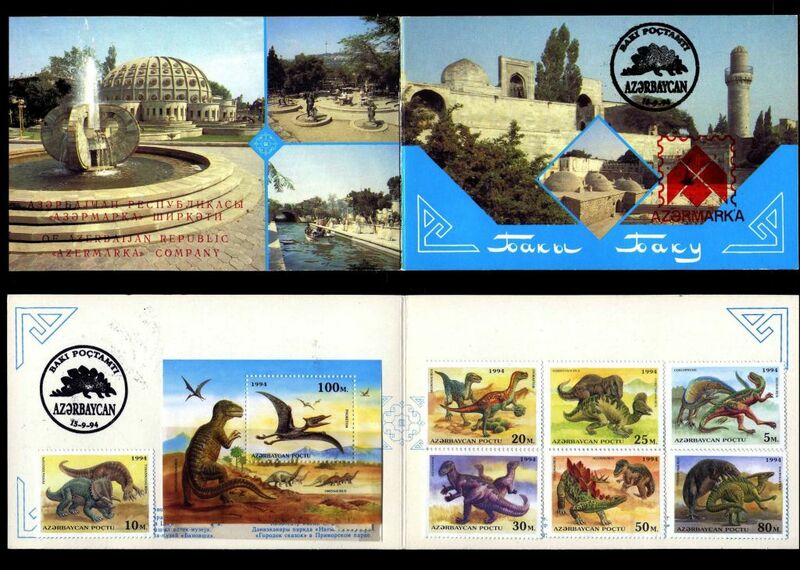 Quantity 531000, 531000, 541000, 541000, 531000, 531000, 81000, 81000. 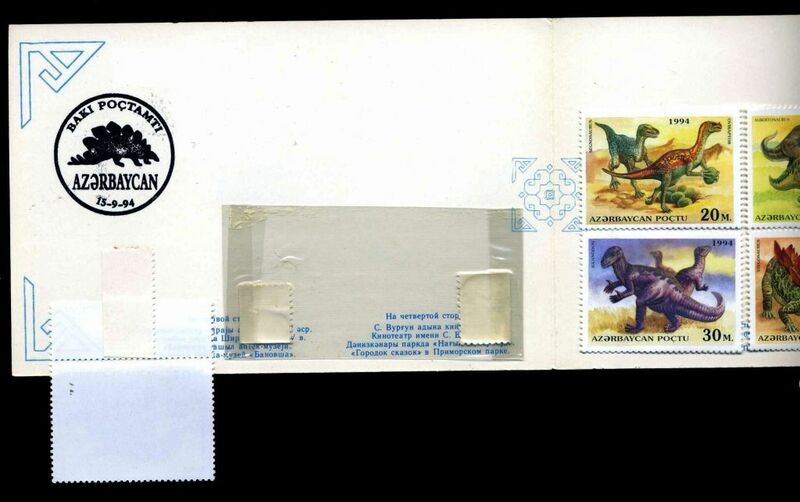 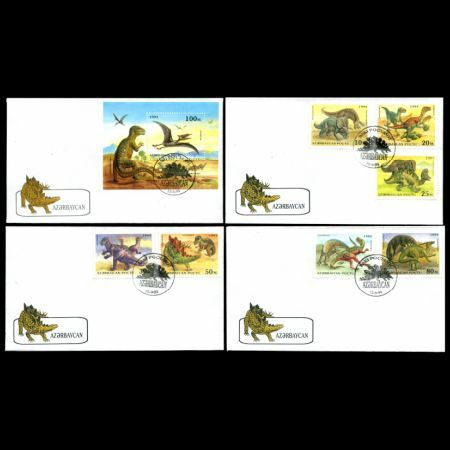 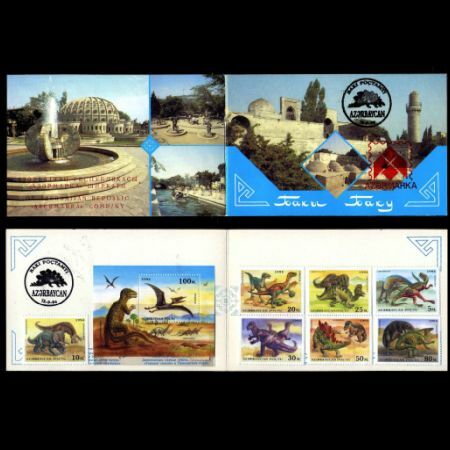 In September 1994, Azerbaijan post authority - Azemarka, issued nice set of 7 stamp and one block depicted various dinosaur on it, even though no fossil remains of these giants can be found in the coutry, because at that time a deep ocean marked the position of the country to be. 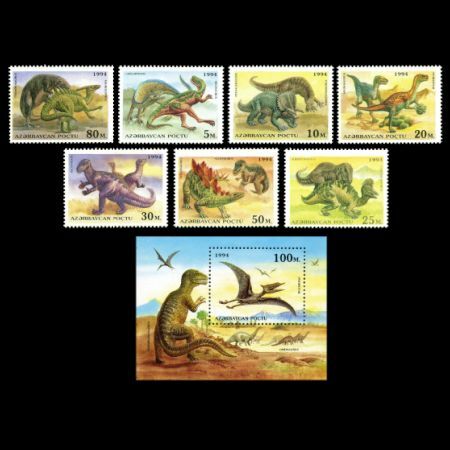 Note: The Tyrannosaurus on the 10 M. stamp is shown with four fingers instead of two, the long crest of the animal on the 80 M. stamp marks it as Parasaurolophus.